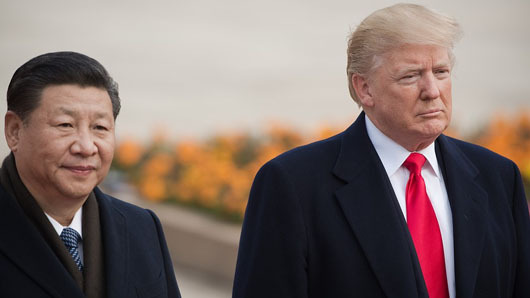 As its relationship with other U.S. agencies sours amid President Donald Trump’s trade and twitter offensive, the Chinese Communist Party (CCP) has worked to maintain close ties to the Pentagon, U.S. defense officials said. Beijing has stepped up contacts with the Pentagon in recent weeks as Defense Minister Wei Fenghe prepares to meet U.S. Defense Secretary Jim Mattis in Washington before the end of the year. Russia showed off its growing naval strength last month ahead of huge land exercises on NATO state borders set to begin Thursday. The exercises are part of President Vladimir Putin’s effort to demonstrate Russia’s full recovery from being a military basket case following the collapse of the Soviet Union. Russia’s Northern Fleet claimed to have sent about 50 ships, submarines and support vessels into the Barents and Baltic Seas in August on a series of anti-submarine, anti-mine and search-and-rescue operations, a Russian Navy spokesman told Russia’s Interfax news agency.